The Relentless Reader: The Literary Blog Hop: International Giveaway! The Literary Blog Hop: International Giveaway! Welcome to The Relentless Reader! 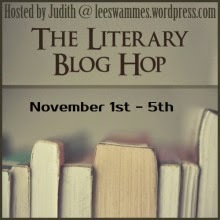 It's time for The Literary Blog Hop, hosted by Judith at Leeswammes' Blog. My giveaway is international and you can choose any book, with a value up to $20, from the Book Depository. As always, my giveaway will be incredibly easy to enter. One click and you're in! I think it would be super if you checked out The Relentless Reader on Facebook, Twitter, Pinterest and/or Instagram but I'm sure not going to force you to do so. You made me smile. A lot. hee hee I love the Literary Giveaway Blog Hop! Hi friend! Thanks for another awesome giveaway. Coming to your gorgeous/fun/super blog makes me happy, and I love the GIFs. Thanks for joining in and for the giveaway! Hope you're having fun hopping around the blogs.